Seminar Series 2018 – Cole A. DeForest, Ph.D.
Home All Events Seminar Series 2018 – Cole A. DeForest, Ph.D. The extracellular matrix directs stem cell function through a complex choreography of biomacromolecular interactions in a tissue-dependent manner. Far from static, this hierarchical milieu of biochemical and biophysical cues presented within the native cellular niche is both spatially complex and ever changing. As these pericellular reconfigurations are vital for tissue morphogenesis, disease regulation, and healing, in vitro culture platforms that recapitulate such dynamic environmental phenomena would be invaluable for fundamental studies in stem cell biology, as well as in the eventual engineering of functional human tissue. In this talk, I will discuss some of our group’s recent success in reversibly modifying both the chemical and physical aspects of synthetic cell culture platforms with user-defined spatiotemporal control. Results will highlight our ability to modulate intricate cellular behavior including stem cell differentiation, protein secretion, and cell-cell interactions in 4D. 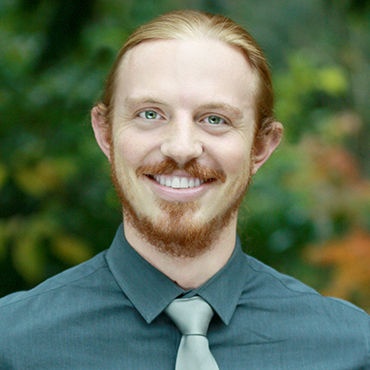 Dr. Cole A. DeForest is currently an Assistant Professor in the Department of Chemical Engineering at the University of Washington, where he began in 2014. He received his B.S.E. degree from Princeton University in 2006, majoring in Chemical Engineering and minoring in Material Science Engineering and Bioengineering. He obtained his Ph.D. degree under the guidance of Dr. Kristi Anseth from the University of Colorado in Chemical and Biological Engineering with an additional certificate in Molecular Biophysics. His postdoctoral research was performed with Dr. David Tirrell in the Divisions of Chemistry and Chemical Engineering at the California Institute of Technology.